Texting while behind the wheel is one of the most dangerous things you can do on the road, which is why a number of groups as well as companies from the automotive industry have created numerous campaigns to discourage drivers from doing so. However, with society depending more and more on technology, particularly their mobile phones, people are still flouting the law, putting themselves and others in danger. This is why many people believe that companies which create mobile phones should take greater responsibility for the safety of their customers and come up with new ways for individuals to use their devices safely. Apple is just one of these companies, and recently is has been revealed that they have applied for a patent for a new ‘lock-out’ mechanism which will disable mobile devices when users are behind the wheel. In a document filed with the US Patent and Trademark Office (USPTO) Apple said: “New laws are being written to make texting illegal while driving. 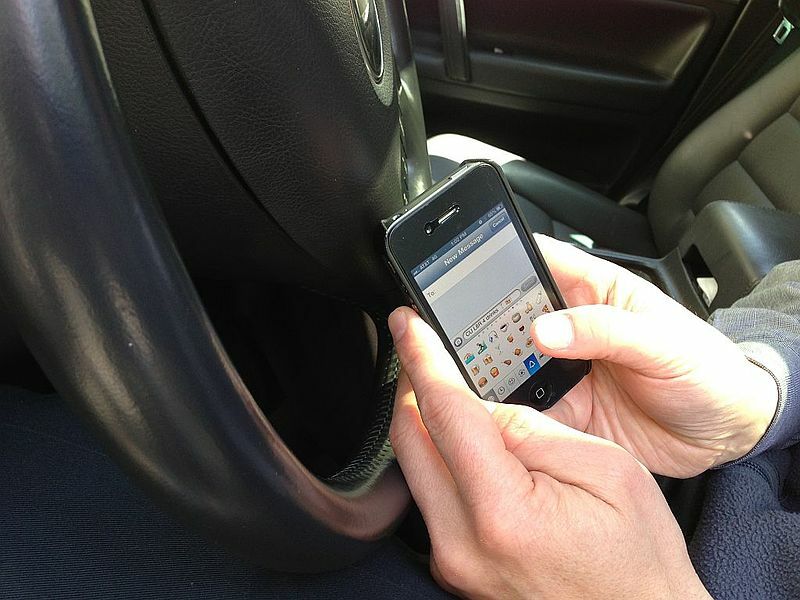 However, law enforcement officials report that their daily ability to catch offenders is limited because the texting device can be used out of sight, thus making texting while driving even more dangerous.” The company also claimed that they were extremely concerned with a 2006 study which showed that eighty per cent of accidents were caused by drivers being distracted by objects in their vehicles such as mobile phones. It has been reported that the new technology would rely on GPS, phone towers and sensors from the devices themselves to determine whether the owner is behind the wheel of a car. The technology would also be able to sense the speed the owner is travelling at, whether they are near a steering wheel and if they are on public transport so that it doesn’t lock them out unnecessarily. If the technology determines that the user is behind the wheel it will automatically go into ‘lock-down’ mode, where all phone calls and text messages will be blocked. However, even though Apple is planning to restrict drivers from using their mobile phones while driving, they are still going forward with their plans to create new in-car technology. We have recently heard a number of news stories concerning their CarPlay product which will soon be installed in Ferrari models. CarPlay will connect users’ iPhones to an on-board computer enabling them to make calls, plan routes and play music using voice control. For motor traders, the change in on-board as well as mobile technology could mean they will have to adapt their businesses in the near future in order to adhere to new safety regulations. For example, it may be that ten years down the line all mobile devices must legally have a lock-down mechanism in order to be taken into a vehicle, otherwise users could receive a fine or void their motor trade insurance. It also means that motor traders will have to get to grips with new car technology, especially if it could help them run their businesses safely and more efficiently. It’s good to see that technological giants such as Apple are creating new technology in order to deter the use of their devices while on the road, and it’s likely that we will see even more companies doing the same in the near future.